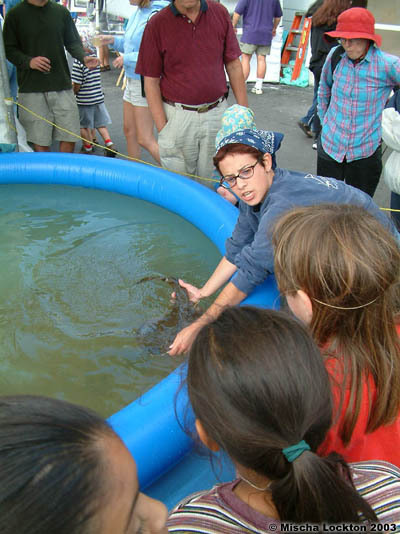 The PSRF is active in the community and has a long and successful track record for grass roots educational efforts for raising the public’s interest and awareness regarding sharks, rays and the greater marine environment and it’s fascinating denizens. Slide show lecture presentations, K thru College and private groups or meetings. The annual Santa Cruz SharkFest and Sanctuary Celebration is an annual event inspired by the PSRF in 1992; the event is held every September in Santa Cruz, at the Municipal wharf next to the Santa Cruz Beach Boardwalk, or the Yacht Harbor. The Moss Landing Marine Lab. The Bodega Bay Marine Lab.